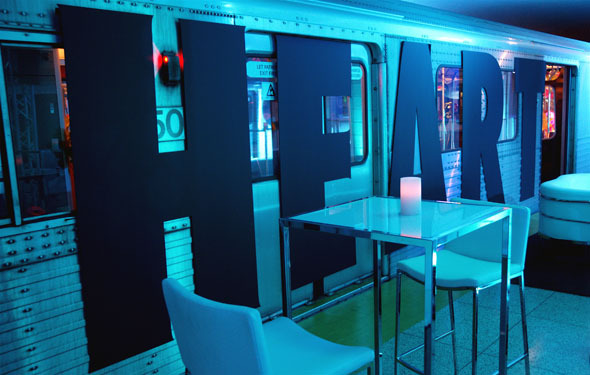 The hidden lower Bay TTC subway station was transformed into an interactive installation and party venue on Thursday by local multidisciplinary artist Justin Broadbent. Absolut vodka commissioned Broadbent, 28, to interpret the phrase, "In an Absolut world, opportunities always pop up." Opportunities like this are fortunate indeed for artists, many of whom rely on government grants to survive. While he didn't reveal just how much he got paid for this work, Broadbent (pictured below) was thrilled at the opportunity. "They pretty much gave me free reign for this project. Although I had to use their font, which I actually like. It took four months from concept to completion." 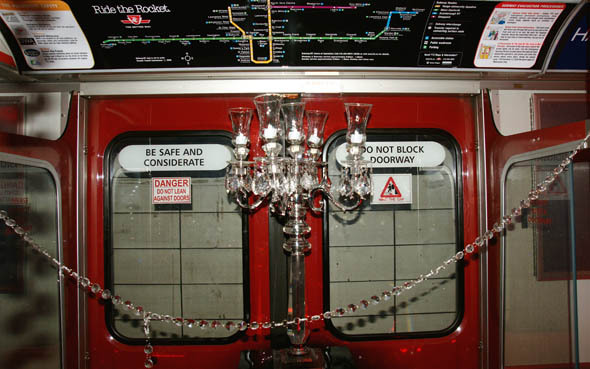 The exhibit, which features several subway cars given a design makeover, was open for just four hours on Thursday afternoon. 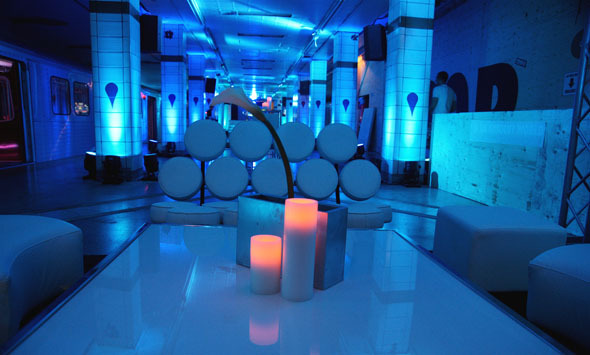 At night, the space hosted an invite-only party, featuring DJ Steve Aoki and KEYSNKRATES. 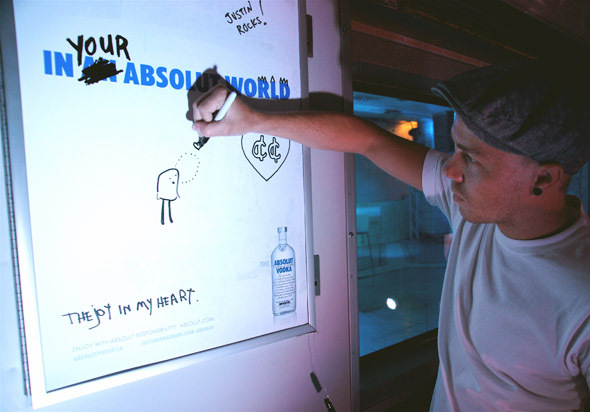 One of the interactive elements of the installation featured an ad for Absolut with an attached black Sharpie pen. This encouraged people to deface the ad. Something you may have always wanted to do but were too afraid to try. Lower Bay station is one of Toronto's lost subway stations. The entrance to lower Bay is kind of hidden. But on Thursday there was a red carpet in front of the double doors, guarded by security. Once downstairs, there was a bar (only open during the evening part of the exhibit) and elaborate furniture that reminded me of VIP sections of some of the more posh night clubs in Toronto. A glance upwards and it was obvious that this was still a largely unfinished station, built in 1966 and only actively used as a subway station for six months, it has since been used for TV commercials and film shoots, such as The Matrix. Aside from the occasional urban explorers seeking an underground thrill. 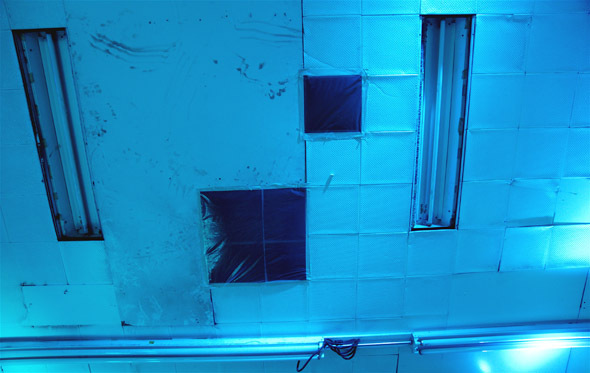 The station was also featured in the music video Never Again by The Midway State. 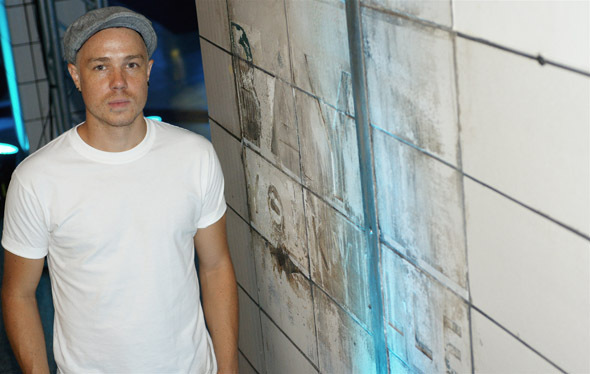 Broadbent has previously directed videos as well, including the one for Sick Muse by Metric. Who would he'd like to do a video for next? "I'd like to work with The Walkmen. I'd love to do a video for their song Red Moon." 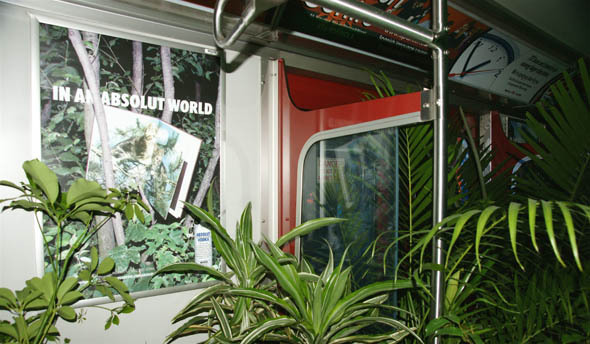 I found it refreshing to see subway cars that more closely resembled a greenhouse or a ballroom. 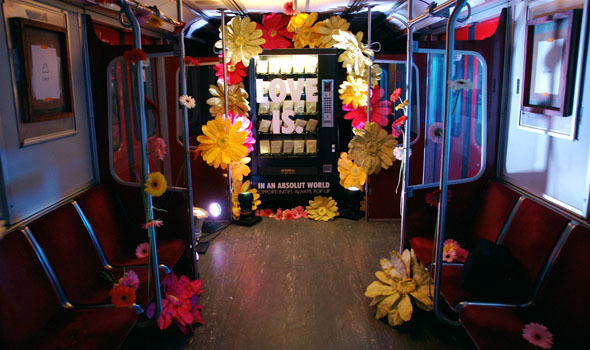 One of my favourite components of the art installation was in the back of the subway car marked HEART. A vending machine that dispensed little envelopes with inspirational messages was inside. I hit B4 on the keypad and got one that said, "Your job is great and all. But don't forget your heart... it's the best part of you." I asked Broadbent about the idea behind the vending machine. "Most vending machines give you junk," he said. "This is a free little pick-me-up." We need more whimsy like this in seldom used areas of Toronto. I didn't mind too much that it had to take the vision of Absolut brand managers or their advertising agencies to make this happen. At least they're supporting local artists in the process. Perhaps the TTC can take this as a cue to do more with lower Bay station. What else would you like to see happen down there?